Founded in 1923 by Martin Maris, this forth-generation family business has grown into one of the most respected roofing companies in Northwest Indiana today. We believe there is no substitute for experience, staying power,and lasting professionalism. 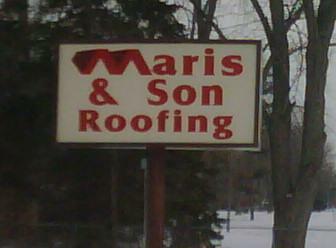 Maris and Son Roofing is known for taking on the most difficult projects because it takes a lifetime of roofing experience to get the job done right the first time. With a reputation of giving our costumer the best roof possible at a fair price. Maris & Son Roofing can provide all professional roofing services for the commercial, industrial, municipal, and residential markets. These services include: roof replacement, new construction, repair, and maintenance to full-service roof management. "Quality work at a fair price"
"Quality Work is are signature"